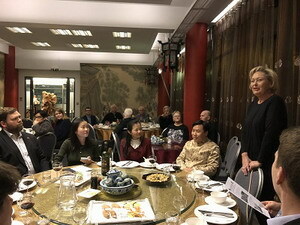 On February 5th, the Chinese Ambassador to Iceland Jin Zhijian and his wife attended the Chinese spring festival celebration hosted by the Icelandic Chinese Cultural Society (KÍM) and the Icelandic Chinese Trade Council (ÍKV). In his remarks, Ambassador Jin spoke highly of the important contribution of KÍM and ÍKV in promoting Iceland-China relations and hosting the event to celebrate of the Chinese spring festival. He sent his best regards and seasonal greetings to all the guests at presence. Ambassador Jin introduced the latest economic and social development in China and the latest development in China-Iceland relations. He pointed out that China has maintained healthy and stable development in 2018 in the complicated international situation. China-Iceland relations has witnessed many highlights, bilateral trade has seen huge growth, practical cooperation has made new breakthroughs, and people to people exchanges remained active. This year marks the 70th anniversary of the founding of the People's Republic of China, and we will work together with Iceland to further promote bilateral relations. 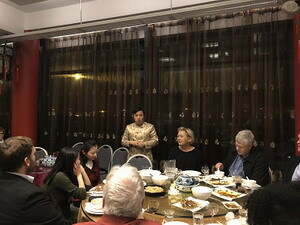 Chairman Arnason of KÍM and President Bjartmars of ÍKV expressed their appreciation to the Chinese embassy for the great support over the years, and their willingness to enhance cooperation with the embassy, so as to continue contributing to the cooperation and people to people friendship between Iceland and China.